Nestled in the central Idaho mountains, the Aspen and Aspen Village resorts make for a tranquil and relaxing escape from everyday life. Swimming, tennis, and the use of health club facilities are just some of the activities to enjoy while staying at this resort. Enjoy swimming during the winter months in the lovely indoor pool. After a long day on the slopes unwind in the hot tub, followed by a quick trip to the sauna. 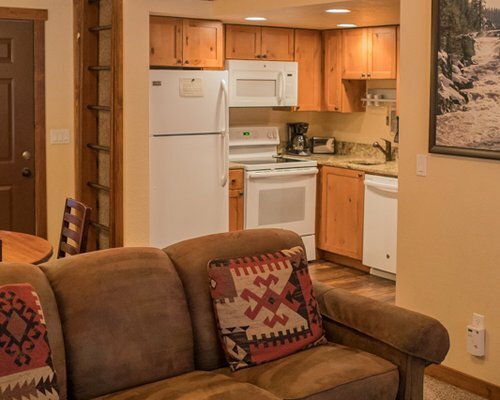 The spacious and comfortable units at the Aspen and Aspen Village will ensure that a stay in Idaho's skiing region is a pleasant one. Every unit features a full kitchen with a dishwasher and microwave. Make sure to warm-up by the fireplace after full day of sporting. This resort offers one and two-bedroom units that can sleep from two to 10 guests. The town of McCall, with its stunning views of Idaho's majestic mountain ranges, is a perfect year round destination. Brundage Mountain is ideal in winter for skiers and snowboarders alike, with a base elevation of 6,000 feet. Also enjoy snowmobiling and ice-skating. Summer brings mountain biking, fishing, and golf, while Payette Lake provides the perfect setting for a myriad of water activities. 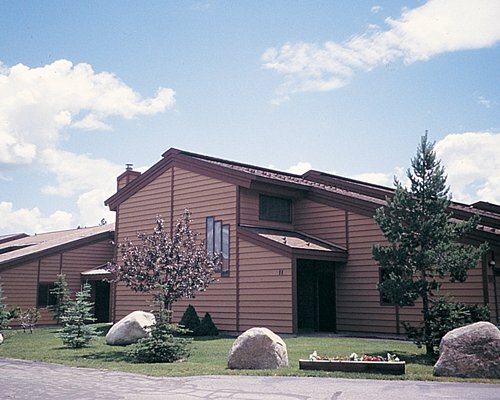 With its relatively remote location, McCall is perfect for spending quality time with the family, or for a romantic getaway. From Boise Airport, 110 miles away, take I-84 West to the Eagle exit (sign also says "McCall"). At the stop light in Eagle follow the signs to McCall, making a right turn onto State St., follow State St. to Hwy 55 North. (McCall is about 103 miles north on Hwy 55.) Once in McCall, HWY 55 becomes Third St. Follow Third Street, to Park street and turn right onto Park St. Park Street becomes Thompson St. Then turn left onto Davis. From Davis turn right onto Suitor Lane at the Aspen Village sign. Check-in is at the first building on the right, suite 149.